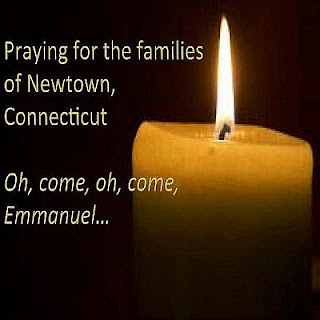 Lord, we come to You as a nation in shock and mourning for those who were killed yesterday in Newtown, Connecticut. Words escape us and we have no context to understand the pain of the families that are suffering and in need of comfort. Please visit them with gentleness and compassion as they mourn great loss. Give these strength and courage to live life vigorously again and to not be afraid of stranger or friend. Turn their despair into hope, hate into love and anger into joy.